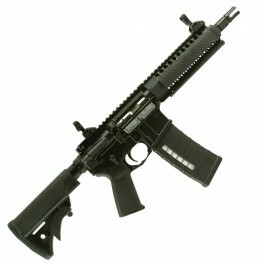 This is a civilian legal short barrel rifle (SBR). 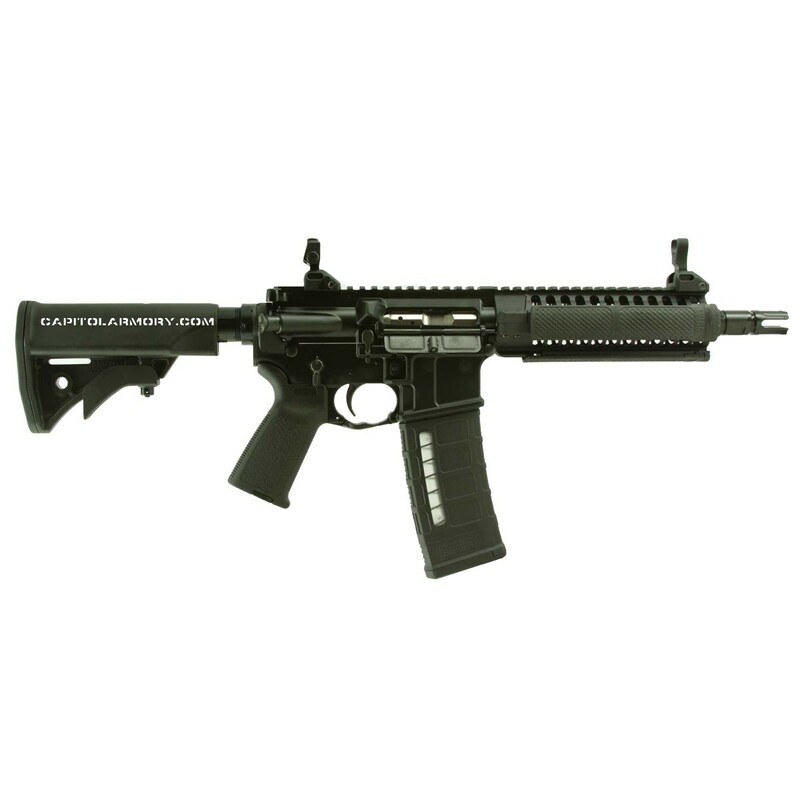 The SBR is civilian legal; however, because it is classified as a National Firearms Act (NFA) weapon, it requires registration with the BATFE. 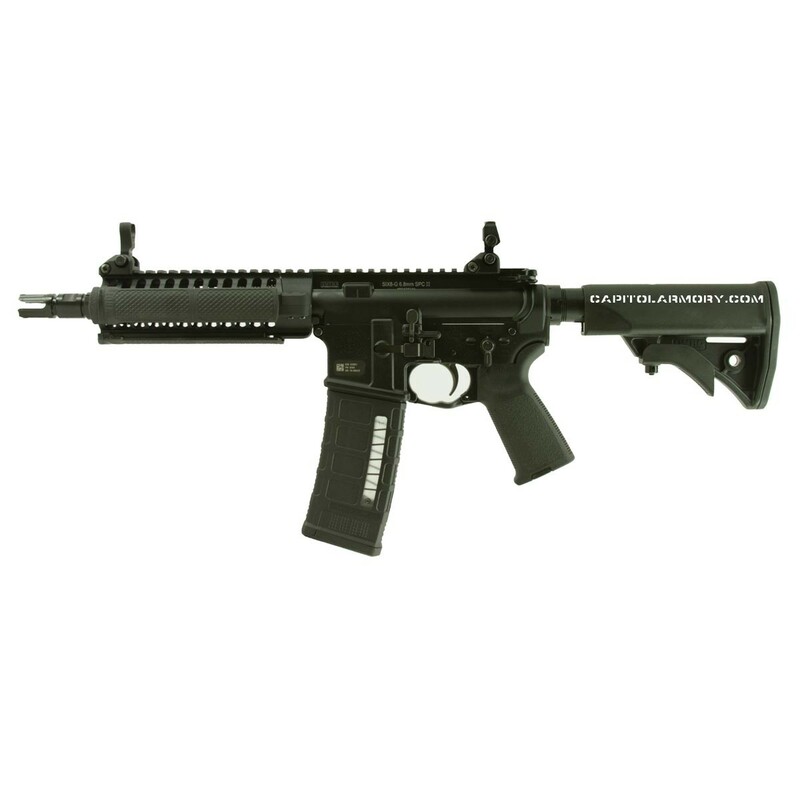 The LWRCI SIX8™ weapons are short-stroke, gas-piston operated rifles chambered in the 6.8x43mm SPC cartridge. This cartridge was developed as part of the Enhanced Rifle Cartridge Program in which U.S. Special Operations soldiers, as well as armorers and other technicians from the U.S. Army Marksmanship Unit, played a major role. Its primary purpose was to address the deficiencies in terminal performance seen with the 5.56x45mm NATO cartridge, while allowing the soldier to carry the same number of rounds with minimal weight penalty. It succeeds in doing so because it uses a heavier bullet with excellent accuracy, which delivers more energy across all effective ranges. Until now, a major drawback of using the 6.8 cartridge in an M4 style weapon has been the lack of reliable magazines. So, when LWRC designed the SIX8™ family of weapons, they started with the magazine. Partnering with Magpul®, the leader in polymer magazine engineering, LWRC designed the first polymer 6.8 magazine. 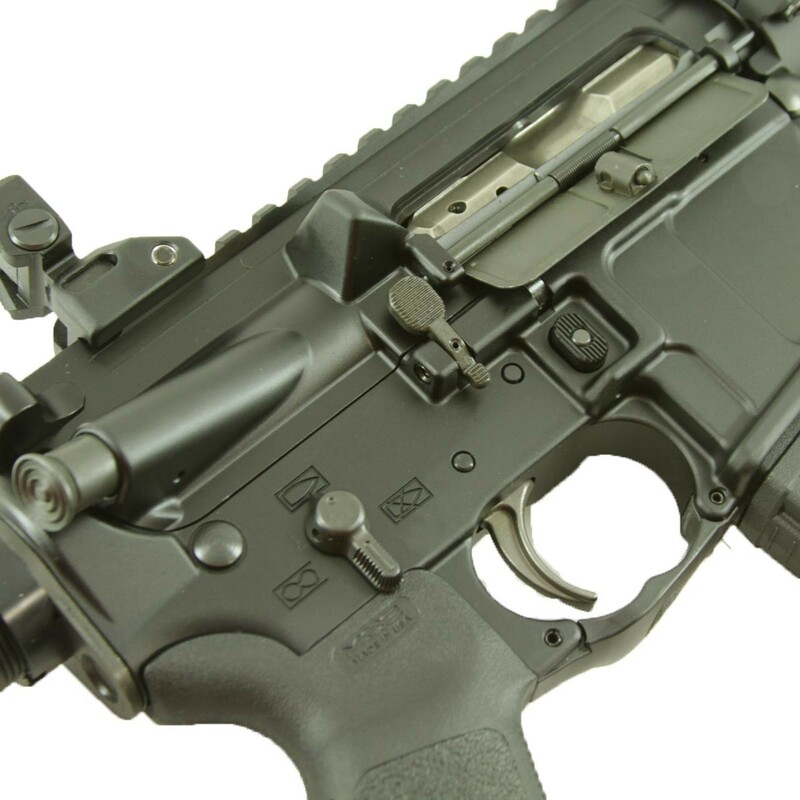 Building upon the magazine, LWRC designed the SIX8™ platform for maximum reliability and improved ergonomics. The upper and lower receivers are designed to accommodate the slightly larger polymer magazine and to perfect the feed geometry for the 6.8 cartridge. As with the IC family, the weapons in the new SIX8™ family are fully ambidextrous and equally suited to right- or left-handed operators. 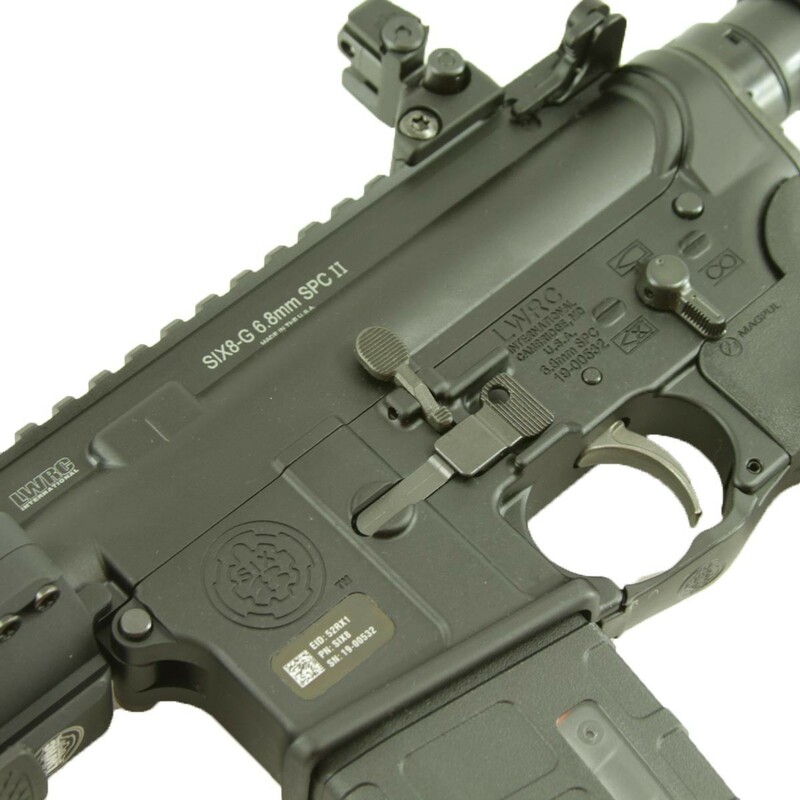 The SIX8™ rifles are based on the familiar Stoner M4/AR15/M16 architecture, but they have been optimized specifically for use with the 6.8 cartridge. The new SIX8™ family combines the ultimate in ergonomic user-friendly rifles with the outstanding mid-range 6.8 cartridge. Until now, a major drawback of using the 6.8 cartridge in an M4 style weapon has been the lack of reliable magazines. So, when we designed the SIX8™ family of weapons, we started with the magazine. Partnering with Magpul®, the leader in polymer magazine engineering, LWRC designed the first polymer 6.8 magazine. Building upon the magazine, we designed the SIX8™ platform for maximum reliability and improved ergonomics. The upper and lower receivers are designed to accommodate the slightly larger polymer magazine and to perfect the feed geometry for the 6.8 cartridge. In addition, we have prompted Federal Ammunition to develop new lines of affordably priced, high performance 6.8 ammunition for commercial, law enforcement and military applications.